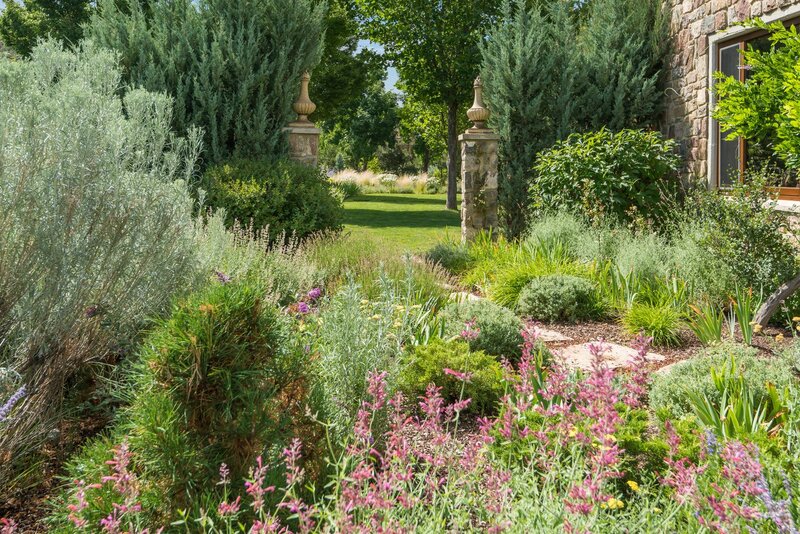 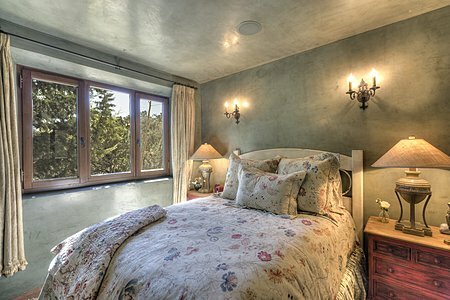 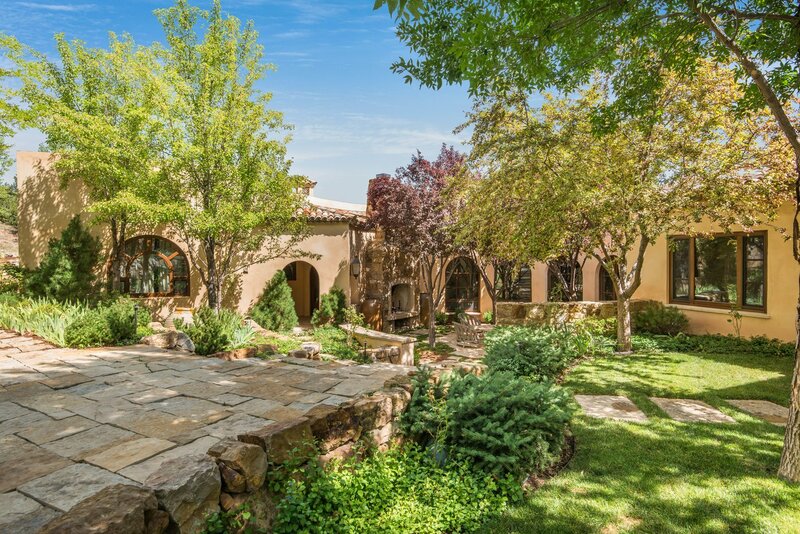 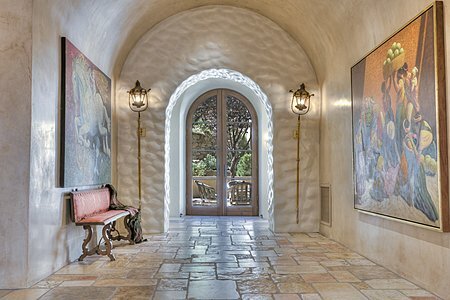 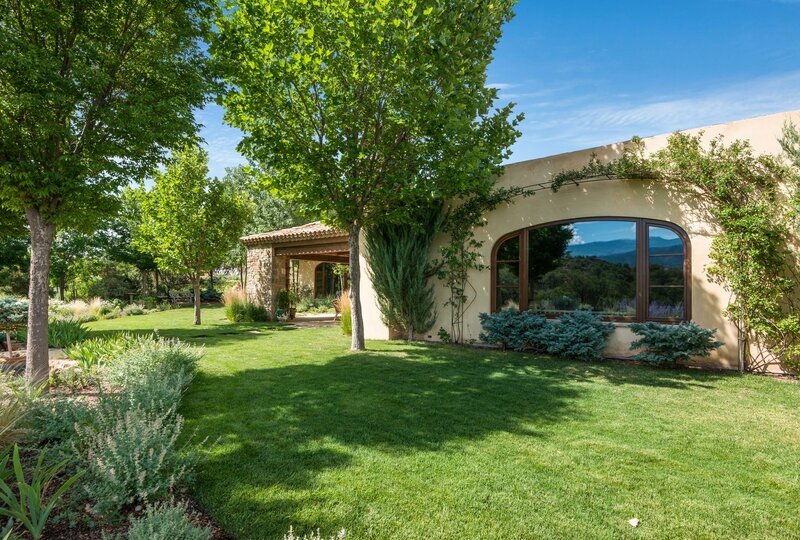 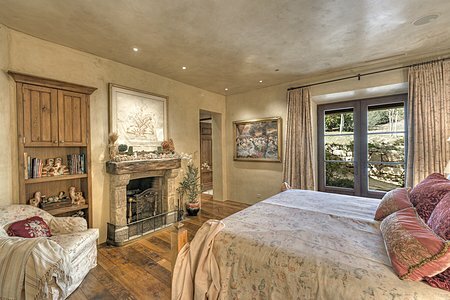 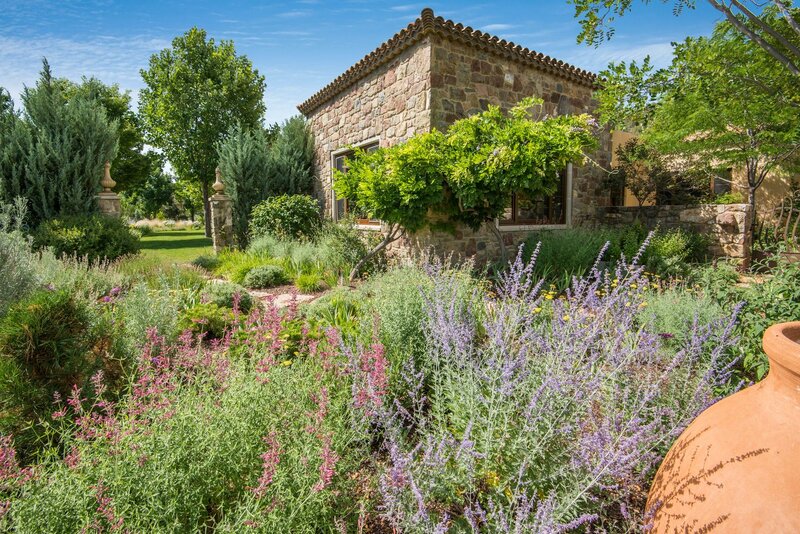 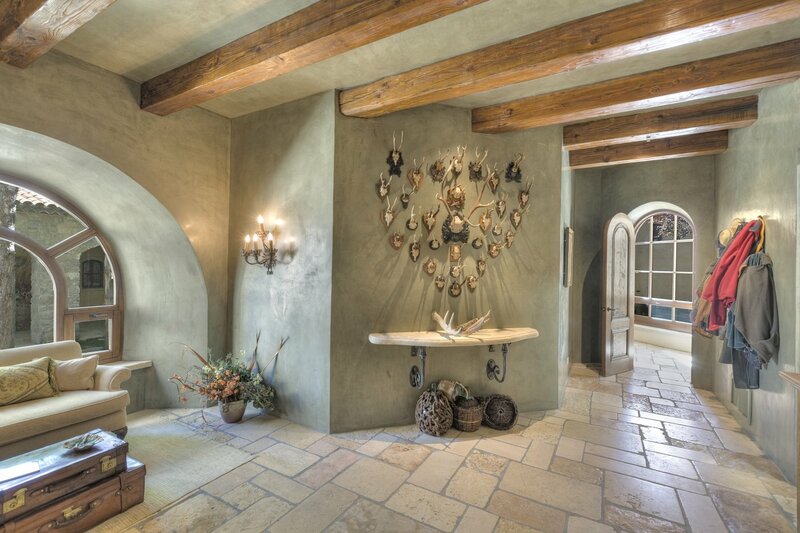 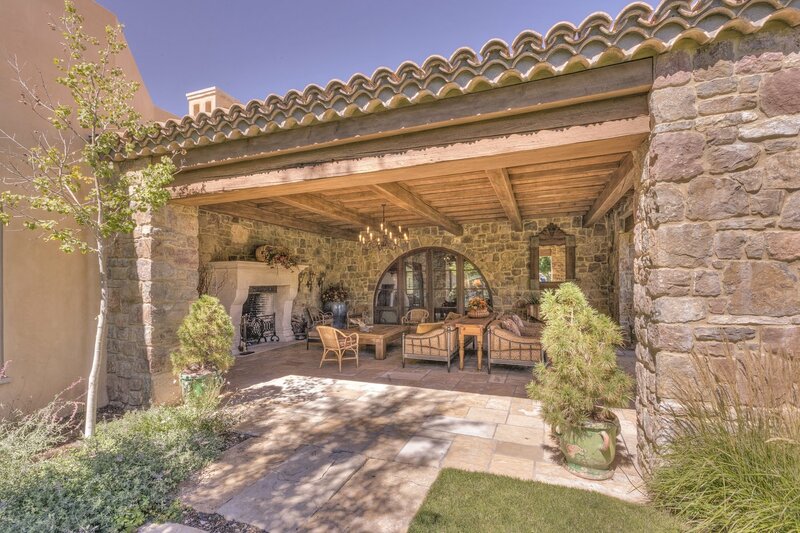 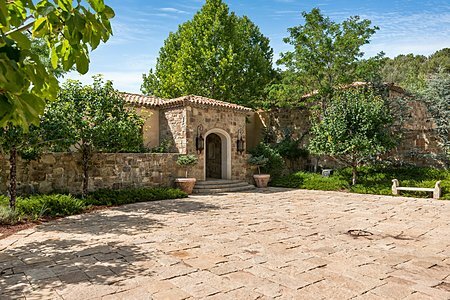 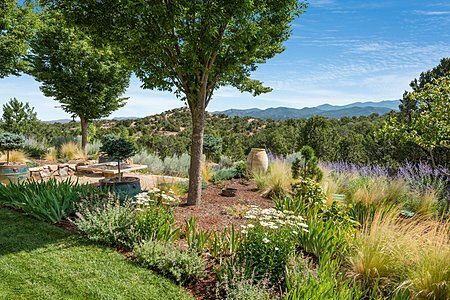 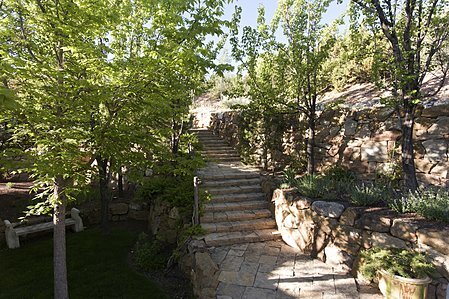 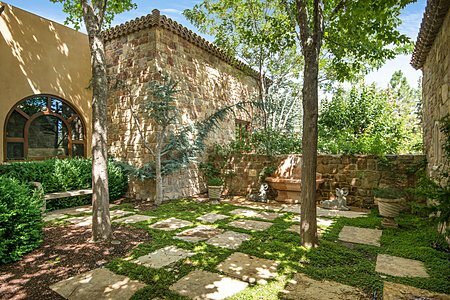 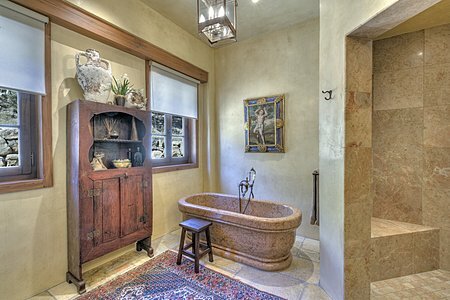 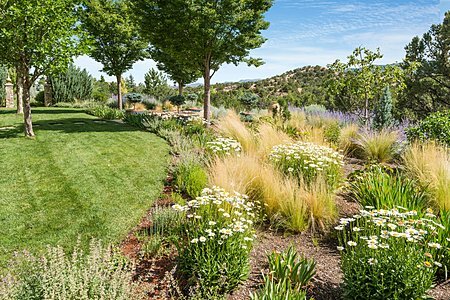 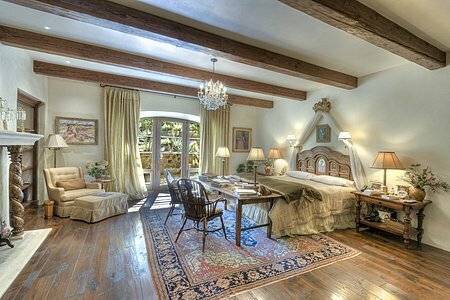 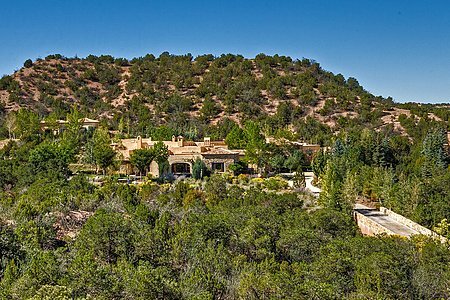 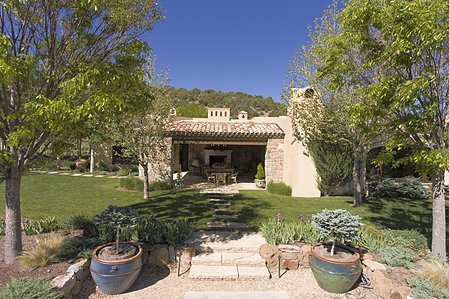 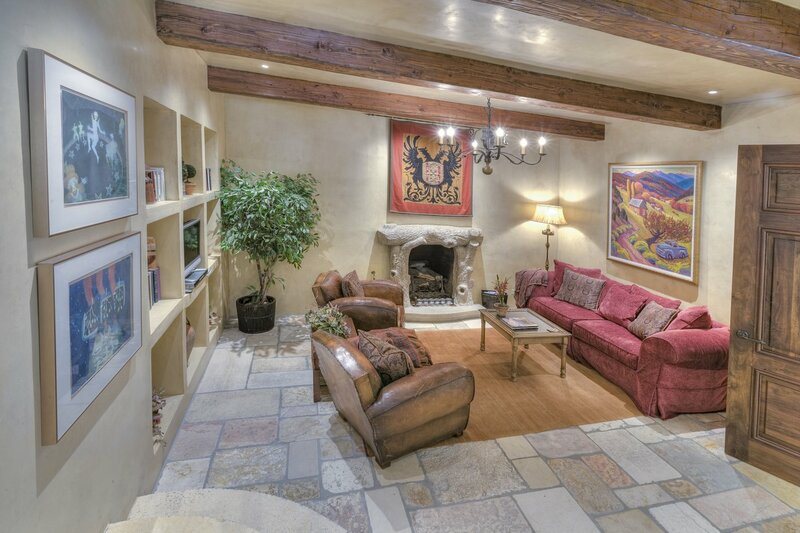 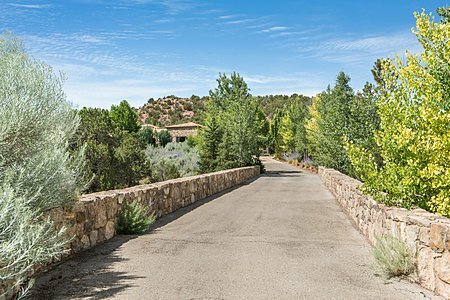 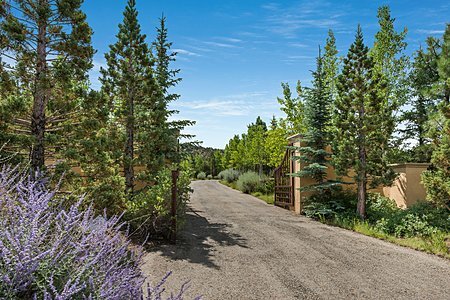 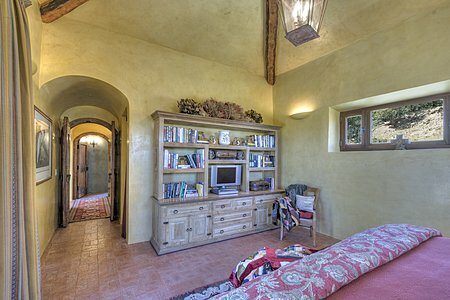 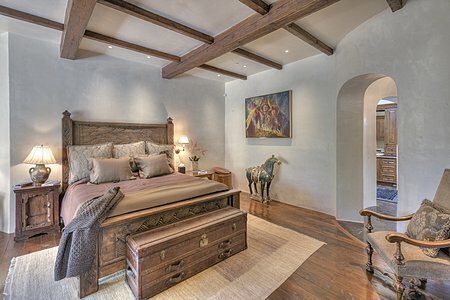 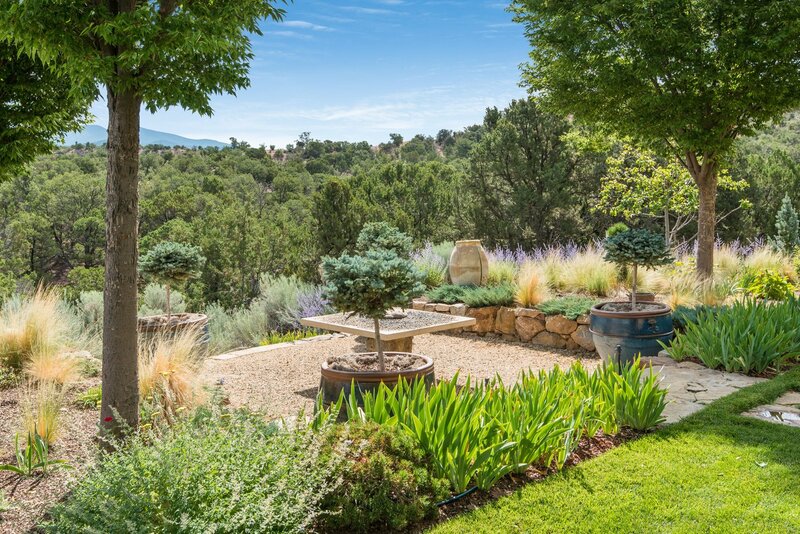 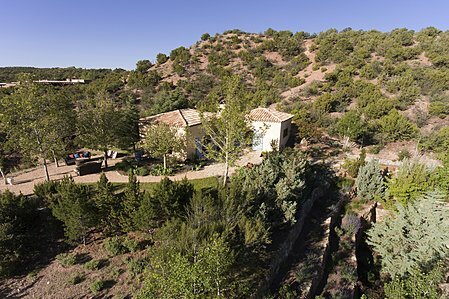 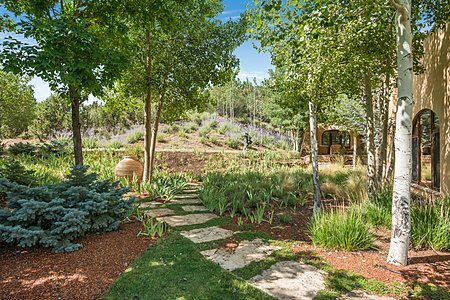 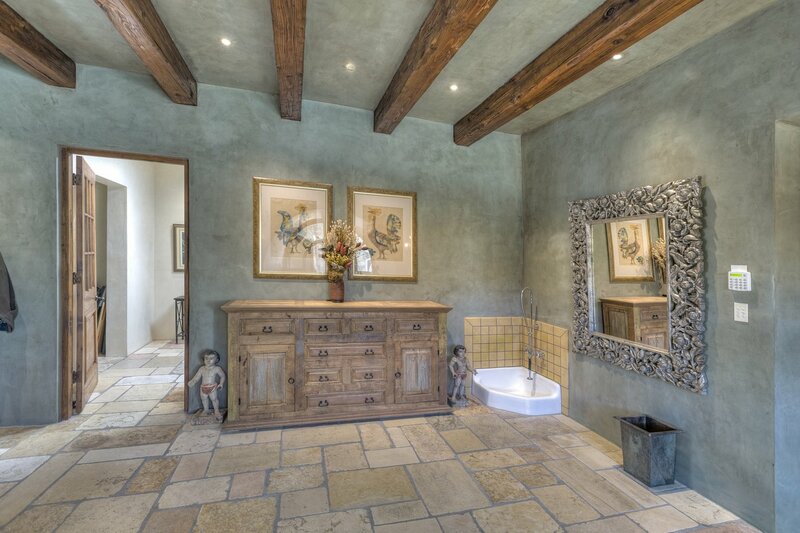 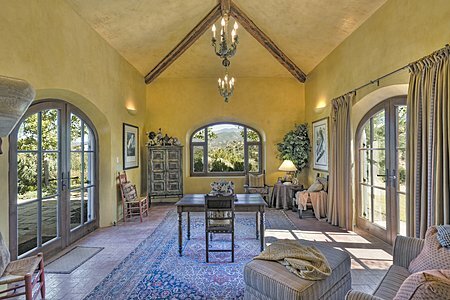 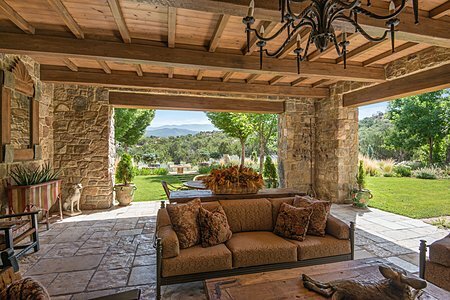 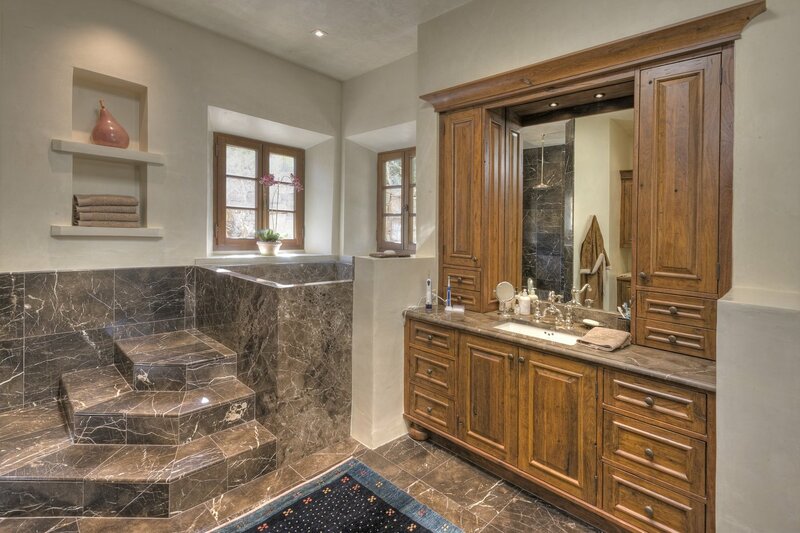 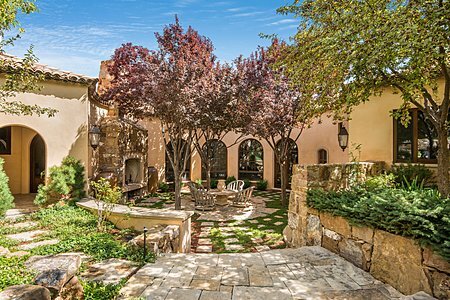 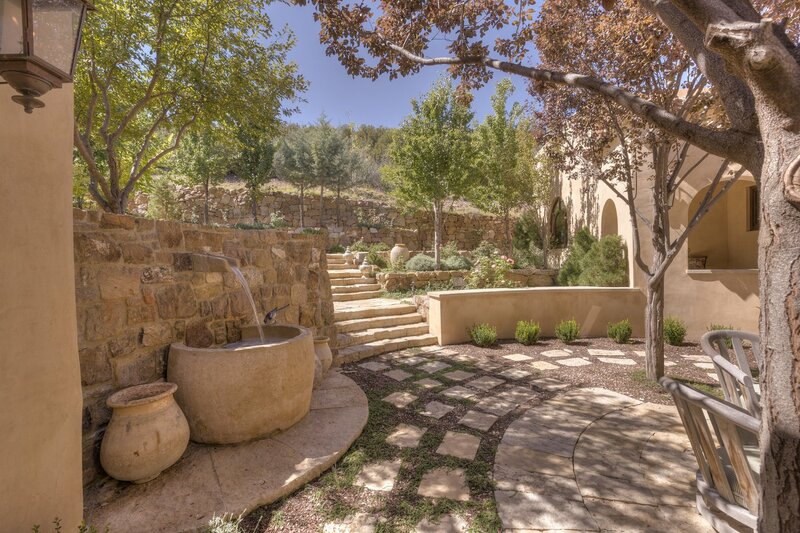 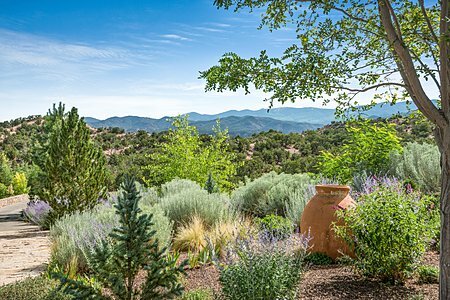 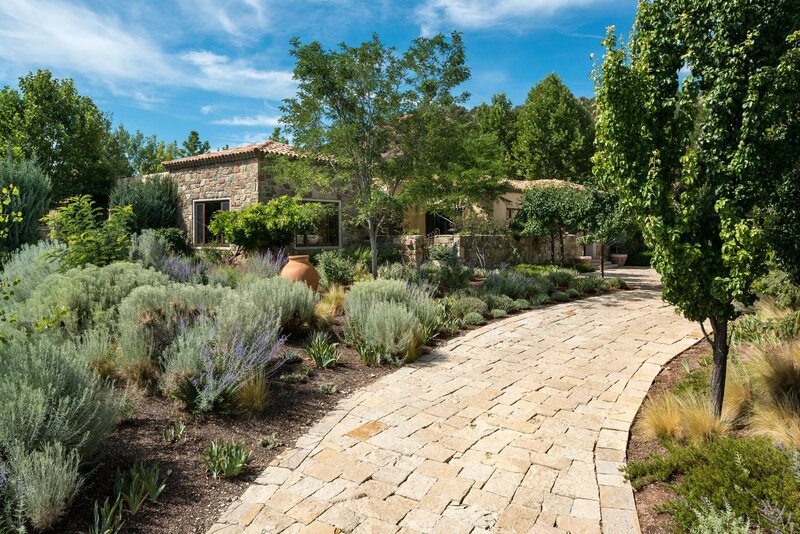 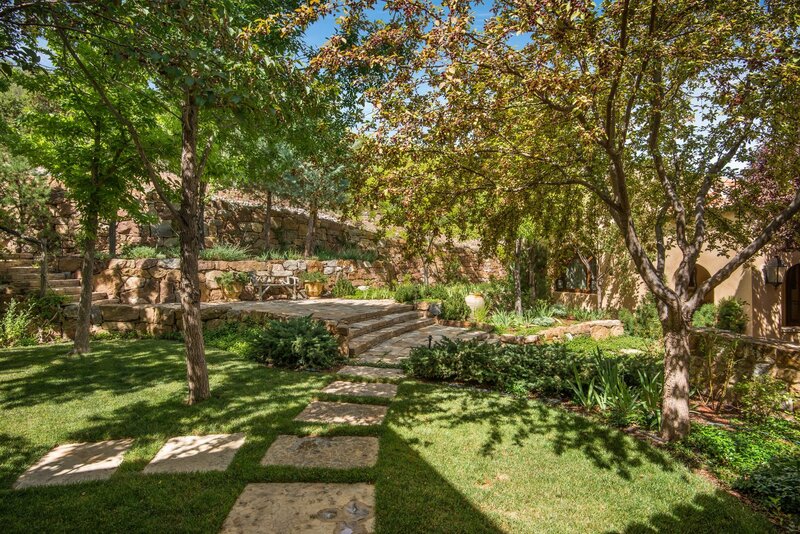 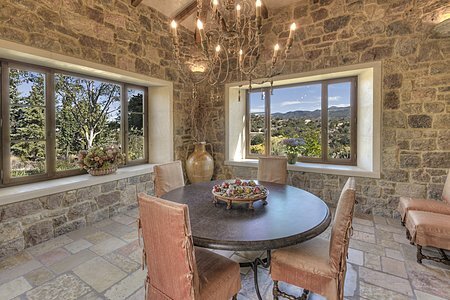 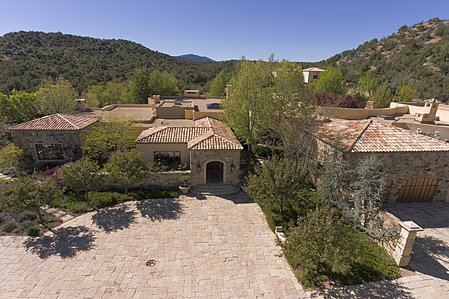 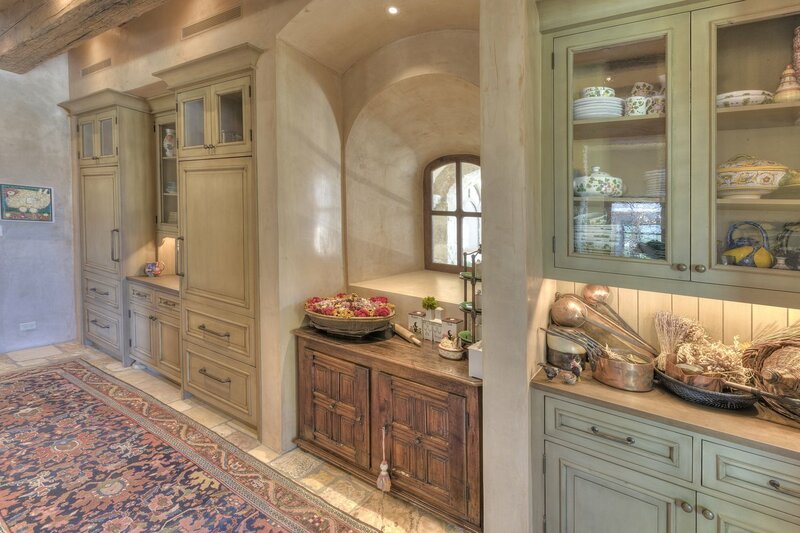 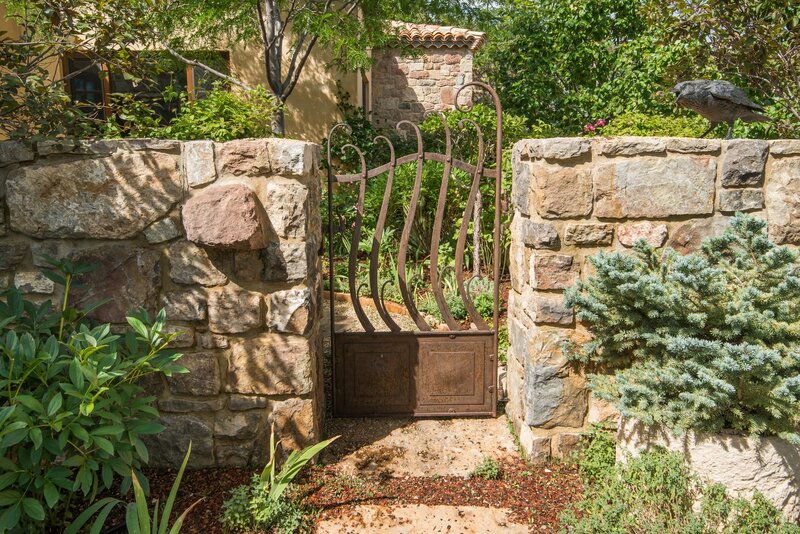 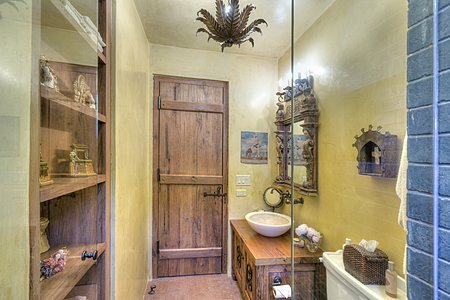 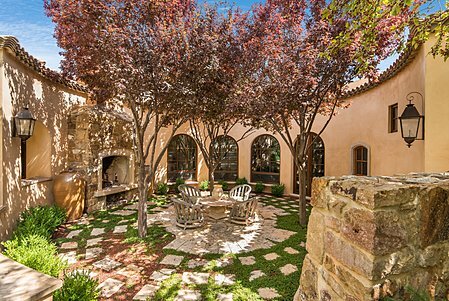 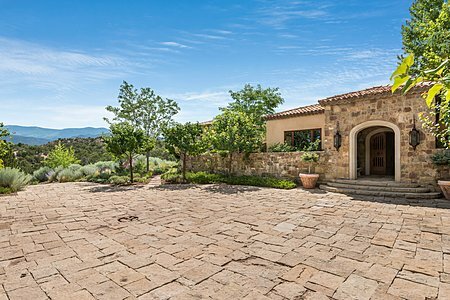 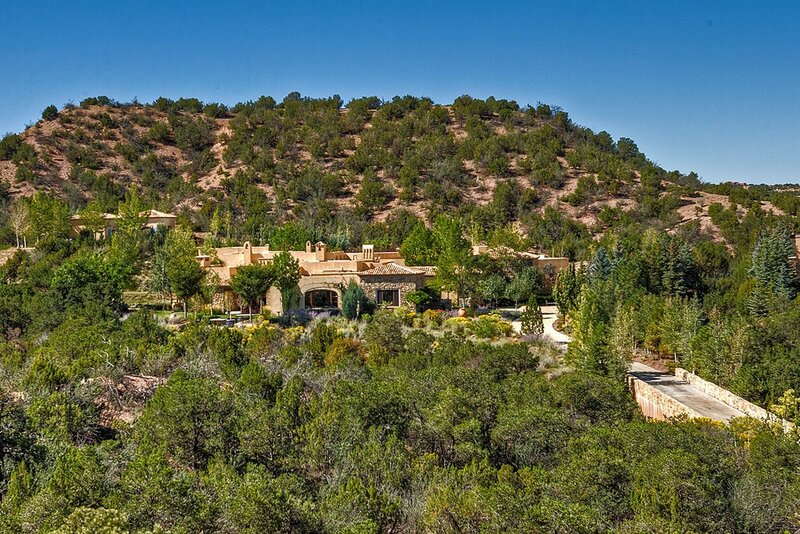 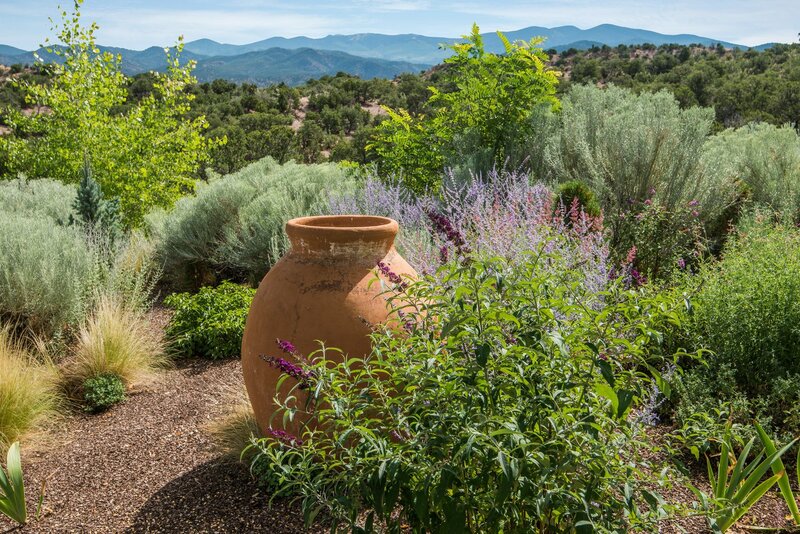 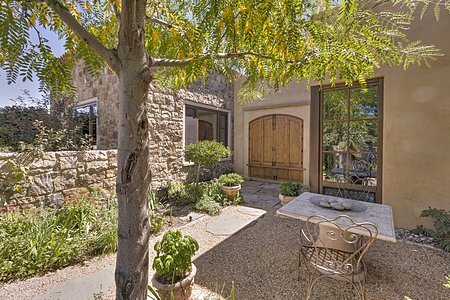 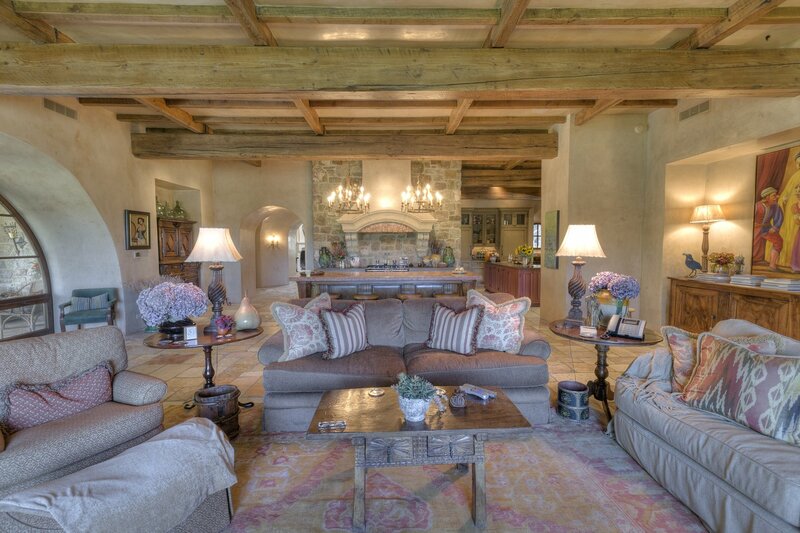 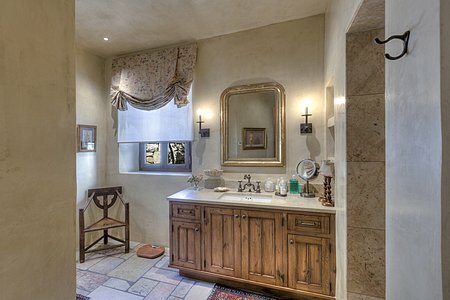 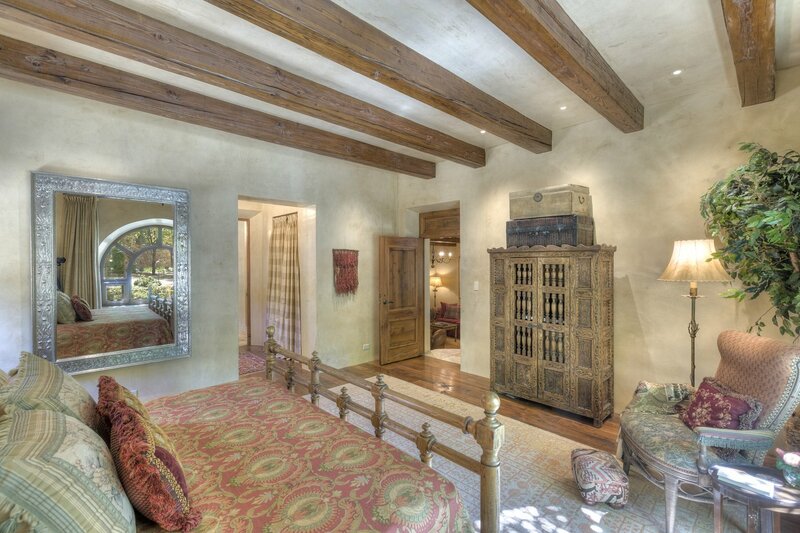 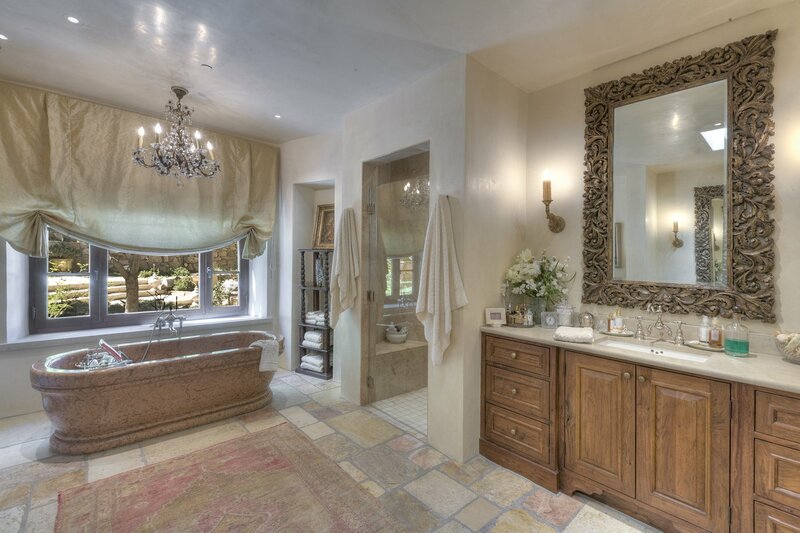 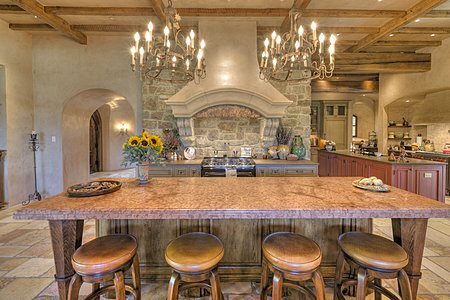 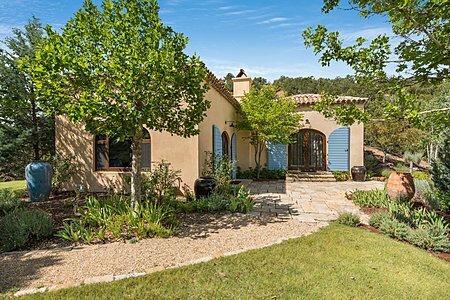 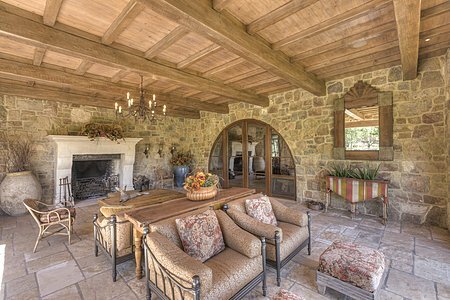 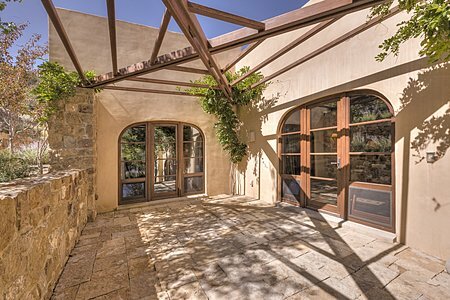 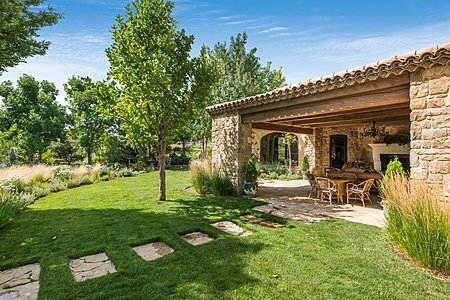 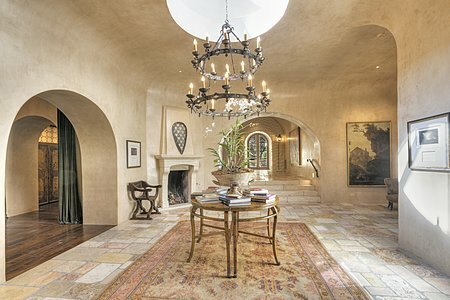 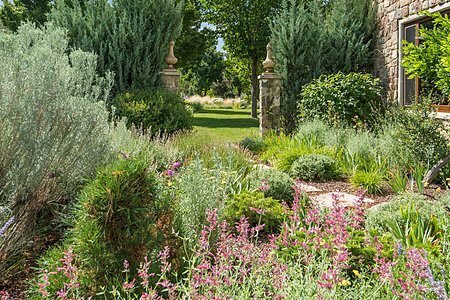 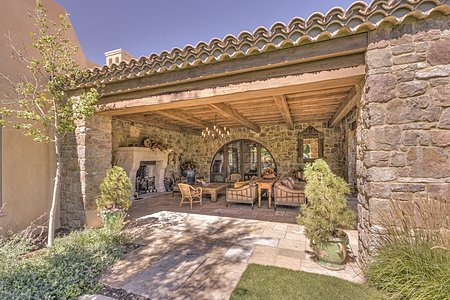 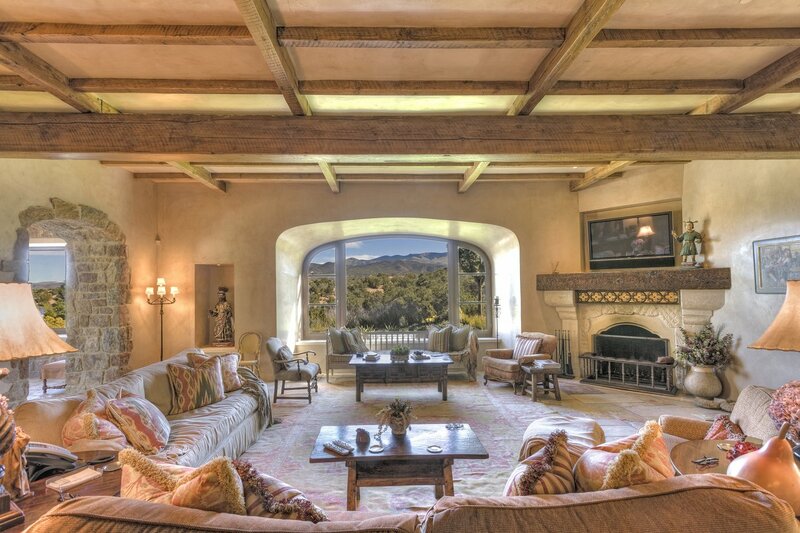 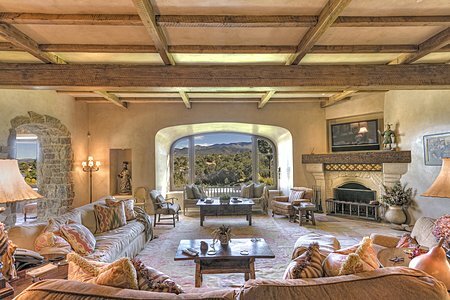 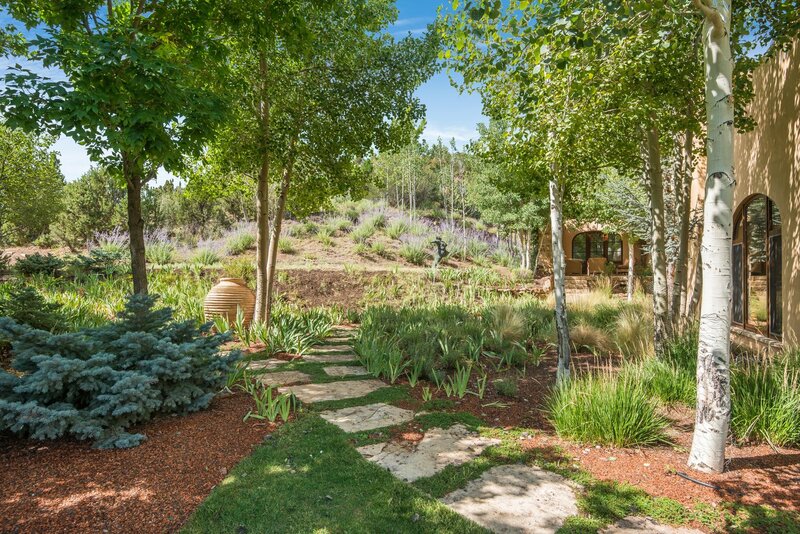 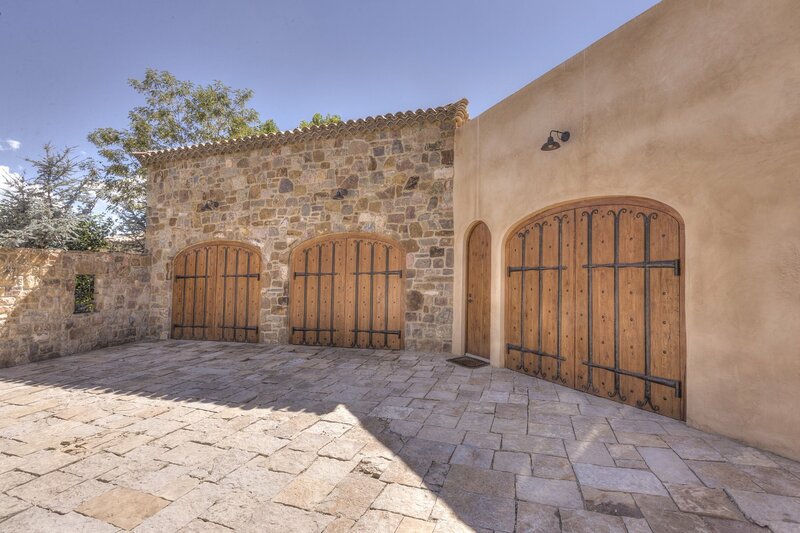 Custom-designed and built, this incomparable residence and its two-bedroom guesthouse are nestled in the gorgeous undulating hills just north of Santa Fe. 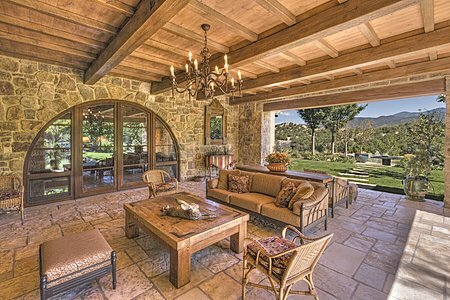 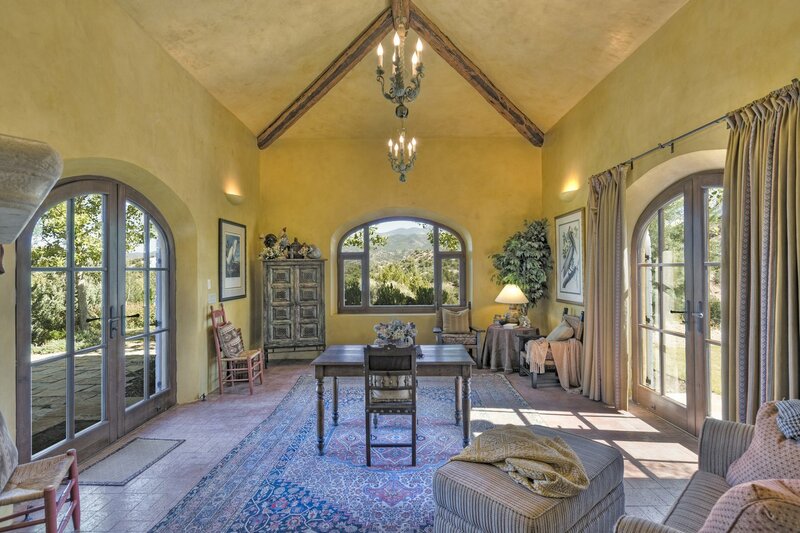 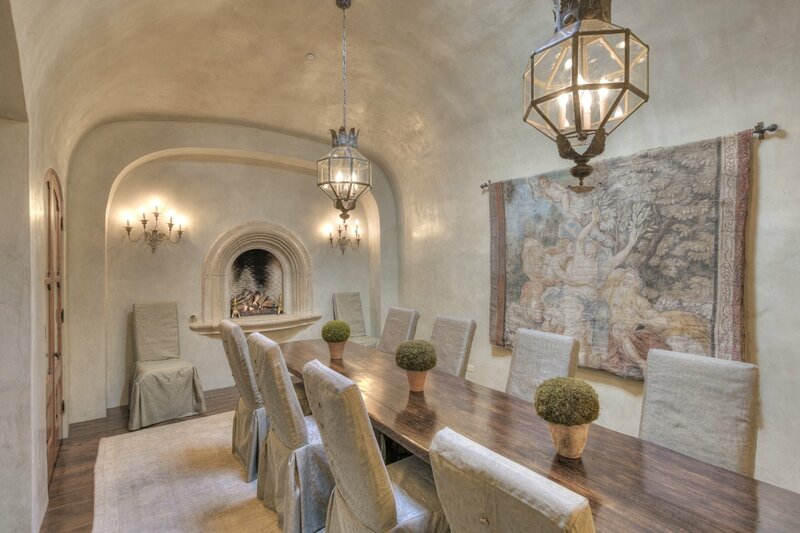 An air of grandeur pervades the nearly 14,000-square-foot manor, yet every space is warm and welcoming. 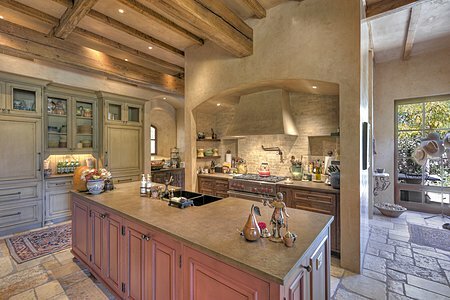 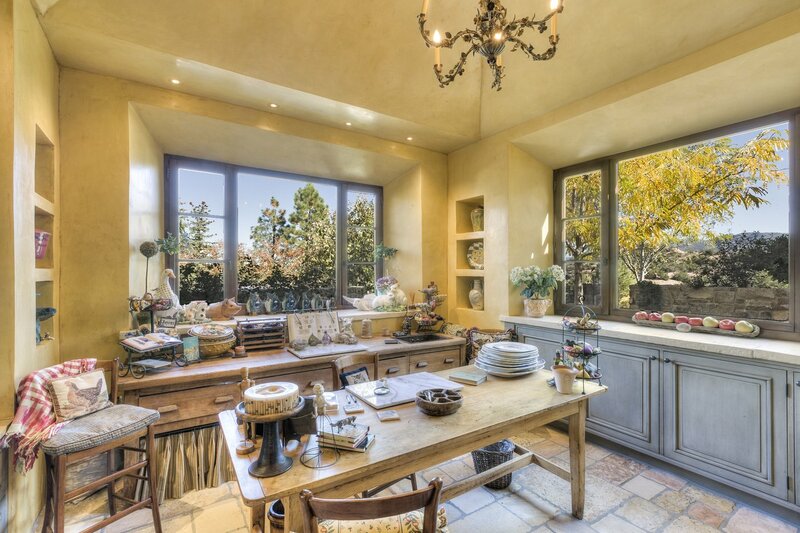 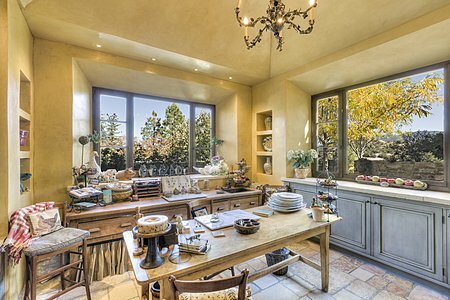 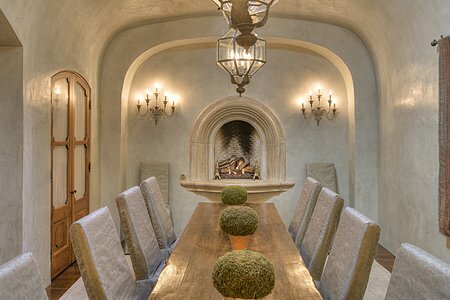 The heart of the home is a generous kitchen and family room with a fireplace, a breakfast area, an adjoining portal, and an awe-inspiring view of the Sangre de Cristos. 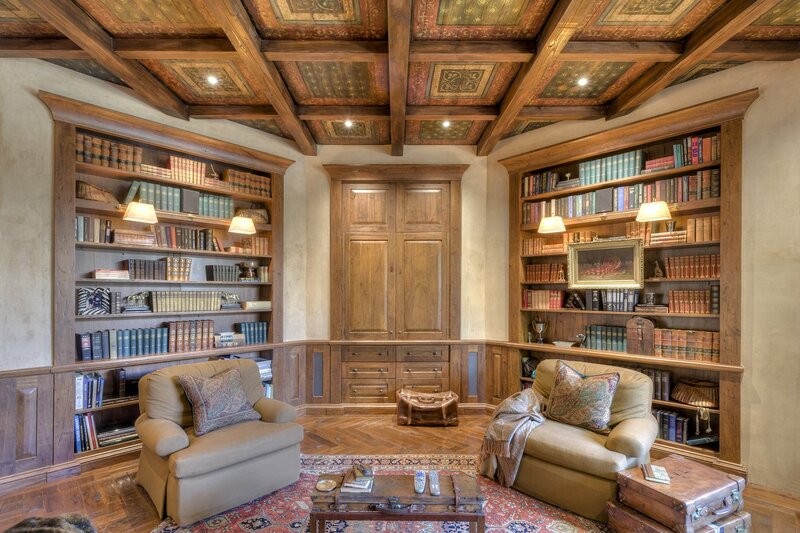 Other noteworthy spaces include magnificent formal living and dining rooms, a handsome library, a finished basement and oversized garage, and utterly private bedroom wings for owners and guests. 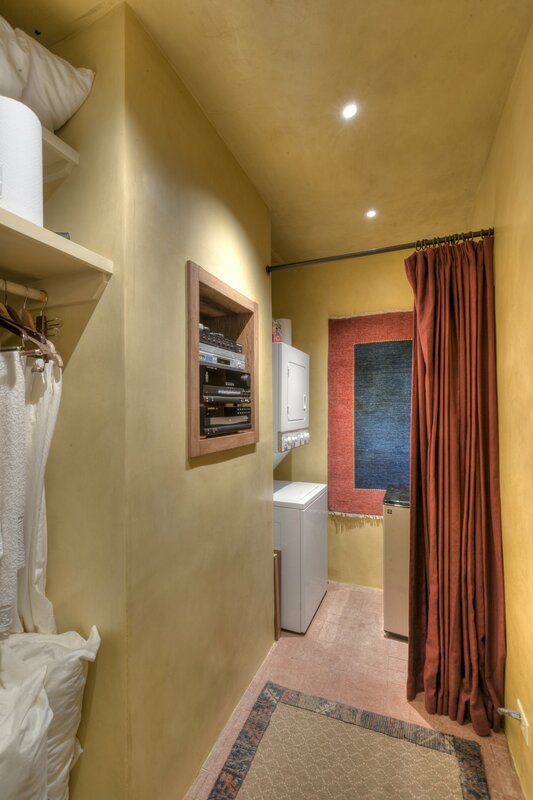 Surfaces of lustrous plaster and cool antique Jerusalem stone contribute to the regal ambience, while earthy reclaimed walnut, hickory, and mesquite add warmth and depth. 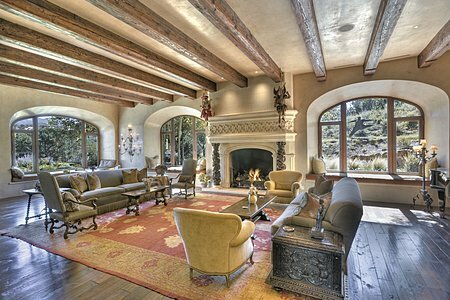 A third-generation German stonemason crafted mantels for the home's 13 fireplaces and many other details. Enveloping the residence are a number of wonderful outdoor living spaces, each of which has been thoughtfully positioned for utmost enjoyment of the views and tranquil surroundings.